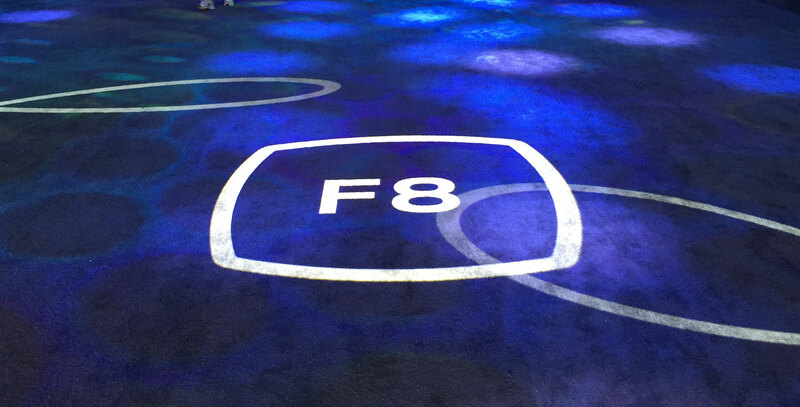 The second day of F8 — Facebook’s annual developer conference — was dedicated to the future of communications technology. React Native is just part of Facebook’s technological foundation for serving billions of users. In our infrastructure efforts, we’ve built our stack from scratch by redesigning it with efficiency, flexibility, and scale in mind. We’ve open-sourced many of these designs — putting our designs in the open means a wider community can help spur innovation. With Connectivity Lab, we’re exploring ways to connect people in some of the most remote and disconnected communities on Earth, using technologies like HALE UAVs, satellites, cost-effective base stations, and free-space optics. Today, we announced the first test flight of our UAV platform, which our engineers will deploy to connect people who live in the world’s most remote communities. Fun fact: The UAV is massive — its wingspan is longer than that of a 737. Some of the leading minds in AI are on the team at Facebook Artificial Intelligence Research (FAIR), working to build intelligent machines. The group has already published a number of influential papers and built memory networks that enable a machine to perform sophisticated question answering, as in this example of a machine answering questions about a Lord of the Rings synopsis. They also recently developed AI that could identify 487 different categories of sports, and tested it by showing some regional and lesser-known sports. In the closing keynote, Michael Abrash — chief scientist at Oculus — discussed how the shift to virtual reality is going to bring huge changes to the world and to almost everything about how we live. The team at Oculus is working to better understand human perception in an effort to create virtual, shared experiences that will completely change the way we communicate and collaborate. After the keynotes were over, Facebook reaffirmed its commitment to working in the open with a series of open source announcements aimed at mobile development. Not only was React Native for iOS put on GitHub during F8, but by the end of Day 2, ComponentKit, Year Class, Connection Class, and Fresco were too. All are performance-focused projects that we believe help tackle mobile development at scale and accelerate innovation among the wider community. At the end of the day, with an eye toward the future, we talked about our work on code editing tools. Built in conjunction with GitHub, look for Nuclide — a unified IDE designed to support React Native, Flow, and Hack — ready to be shared with the community soon. You can watch Schroepfer’s whole Day 2 keynote below.